This attractive bookcase features a cabinet base with an adjust shelf and a fixed shelf inside to keep clutter hidden. The upper portion of this bookcase has two more adjustable and two more fixed shelves for storing books or displaying trinkets. 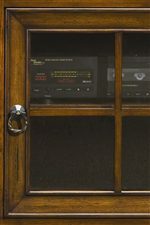 The attractive medium brown finish and unique dark hardware complete this classic traditional look. This storage bookcase is the perfect addition to any fine home office or living room, and can be bunched with more of the same or with the open bookcase (-333-2) from the same collection. The Centennial Bunching Door Bookcase with 3 Shelves by Aspenhome at Walker's Furniture in the Spokane, Kennewick, Tri-Cities, Wenatchee, Coeur D’Alene, Yakima, Walla Walla, Umatilla, Moses Lake area. Product availability may vary. Contact us for the most current availability on this product. 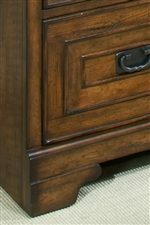 The Centennial collection is a great option if you are looking for Traditional furniture in the Spokane, Kennewick, Tri-Cities, Wenatchee, Coeur D’Alene, Yakima, Walla Walla, Umatilla, Moses Lake area. 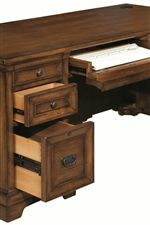 Browse other items in the Centennial collection from Walker's Furniture in the Spokane, Kennewick, Tri-Cities, Wenatchee, Coeur D’Alene, Yakima, Walla Walla, Umatilla, Moses Lake area.